Forum Traiani is a well known suppliers of roman items. They are mainly focused on civilian items. 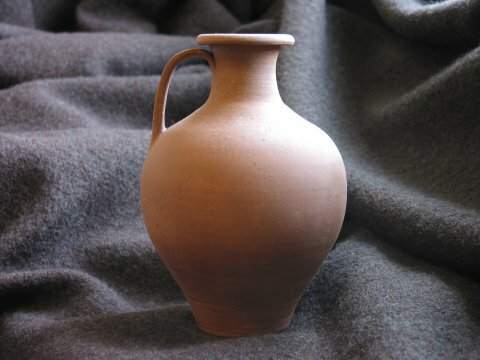 This jug is a replica of a common finding, but FT has not provided documentation related to the original. 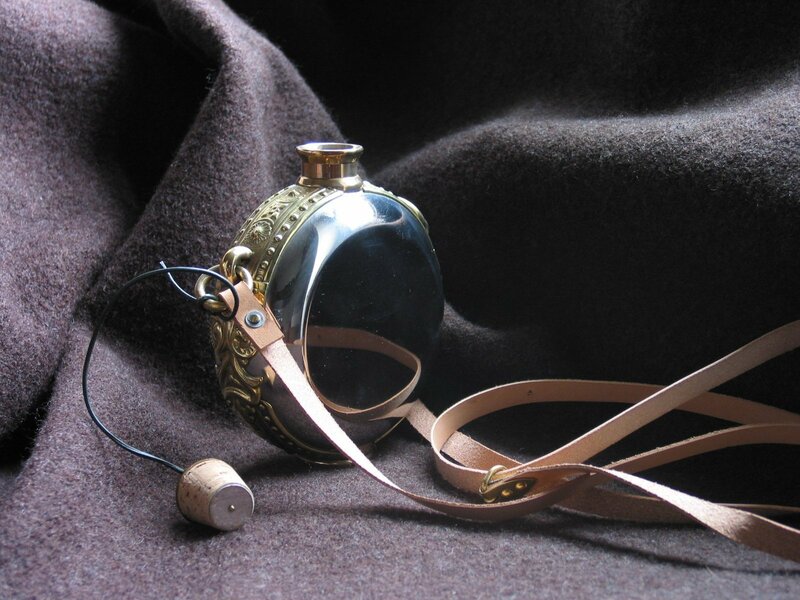 FT declares about 1 liter of capacity: we have measured 1,12 liters by leaving the space for any confortable cork cap. Our test has not revealed defects, it is perfectly water-tight. We stressed the item by handling it filled of water: the jug is strong enough for any kind of use. As written on their web site the internal part of the jug is vitrifated as hygienic measure. This is clearly introduced to allow customers to use it, even if this less filological. 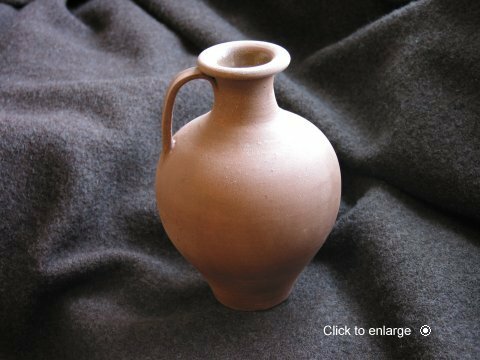 The item is very accurate and, even if we cannot verify it with "the" original, it is a so common item that we can say that it is filologically perfect. The item lost one point for the inside painting, but we don't consider this lost point for the final evaluation that is the maximum. The price is 13,50 euro, that is pretty low for the quality offered. To make your items reviewed contact us.